Normally I am not a huge fan of investment books since many are poor substitutes for the classics. The Investment Checklist The_Investment_Checklist by Michael Shearn (2012) gives new and intermediate investors a more programmed approach to analyzing investments including competitive advantages. I have no affiliation with the author, but I recommend. Is the book perfect? No. Figuring out if management is motivated is harder than the checklist approach would make it seem. However, you will benefit by being relentlessly thorough BEFORE you invest. Anyone wishing to utilize a disciplined method for investing should read this book by Shearn. Good investing mean avoiding mistakes and taking calculated risks. Identification of risk involves deep thinking about “what can go wrong?”. This is where this book shines, since it forces you to adopt a structured approach of working through a checklist of the possible unknowns. Too many unanswered items? – Take a pass until you can complete the checklist. What I really liked about the book are the tons of real life examples of exactly what he means. You look at investor conference calls in a different way, as it has an exhaustive section on evaluating management and their responses. Are they honest? Are the overly promotional? What are they trying to hide? You see real life examples of both sides – the good and the bad ones. The book made me think of many situations in the past that were strong clues about excessive risk. Another useful aspect of the book is that it provides many outside sources (websites, etc) to check your facts. Investing in teen retailers? Shearn provides a number of free sources to verify and understand trends. I’ve no doubt that this book will make me better at researching a company. For anyone not employing a checklist – the Shearn checklist provides a great template to success. Overall, I thought the book was very interesting and well written. It did a nice job of helping people learn how to think about businesses from a strategic and competitive point of view. The one thing that would have made the book better would have been some discussion to tie the strategic analysis of the company to some valuation frameworks. There was some mention of what the author and his firm were paying for certain companies when they purchased the stock, but it was not a complete discussion of valuation and the related value investing concept of a margin of safety. With that said, I do think that the anecdotes included in the book were helpful and added good context. If you haven’t signed up, then here is another chance. I signed up; I need all the help possible. Good News!!! The course ‘Model Thinking’ will go live very shortly. When it does go live, we’ll be asking you to officially register and agree to some standard terms and conditions. In the interim, you can now go to the site, at http://www.coursera.org/modelthinking/lecture/preview and watch the first two sets of lectures. The first set of lectures covers the benefits of modeling and provides a framework for the course. The second set covers Thomas Schelling’s seminar model of segregation as well as a model of standing ovations that I developed with John Miller of Carnegie Mellon University. The full site with quizzes, discussion forums, and all the other bells and whistles will be operational very shortly. I thank you all for your patience. Enjoy the first few lectures!! As we say in Ann Arbor… Go Blue!!! and his weekly emailings:sfriedman@gmail.com There will be overlap, but you will find interesting articles, videos and value investors. Read ruthlessly, however, I don’t bother to read about Fairholme’s investment in BAC or AIG, because those companies are out of my circle of competence. Only read what benefits YOU. 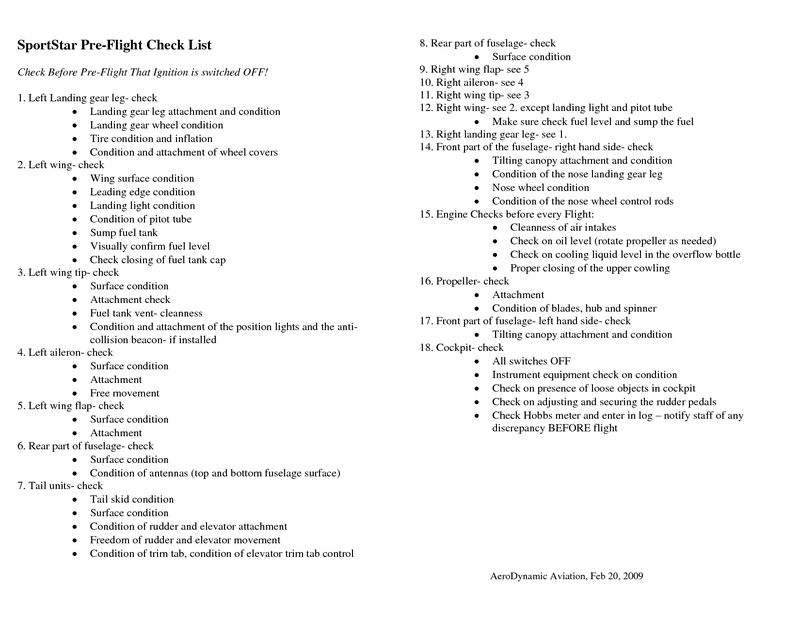 You use a check-list so as not to overlook critical information (full gas tanks, alternative airport, correct altimeter) and to be able to have mental capacity free to handle emergencies such as this: http://www.youtube.com/watch?v=IbirtASpgEk&feature=related. As you learn, build YOUR own checklist. When I first look at a company I quickly like to view the Value-Line to check the company’s historical financial history. Is this a good business with relatively stable, high returns on capital, growing sales, low debt, or–if it has debt–then the terms of that debt, and what is the quality of the balance sheet? What is management doing with excess cash? Then, when looking deeper, I immediately check the proxy to see if management is incentivized properly or has conflicts of interest. Can I understand this business moving forward, etc. Soon the checklist will automatically become part of your process. The stock market in the last dozen years has been colder than the summit of Mt. Everest. But we are not curling up in the fetal position. Instead, we are improving our skills, so we can compete smarter. To this end, we are also publishing a new e-letter for our friends, Checklist Investor Quarterly. Our e-letter is inspired by Dr. Atul Gawande’s excellent book, The Checklist Manifesto. Gawande’s thesis is that airplane pilots, engineers, and other professionals can improve their desired outcomes just by following a repeatable process; i.e., a checklist. Gawande also profiles a few money managers who became checklist investors and saw their performance get better fast. Our goal with Checklist Investor Quarterly is to share with you the latest thinking from the Internet—a checklist of great ideas, if you will—on how to help you become a better stock-picker. Our motto is: Checklist Investor Quarterly is free, but the information is valuable. If you like what you see, let us know and also pass this issue along to your friends. Anyone who opts in via an email to Hewitt.Heiserman@EarningsPower.com is welcome on our mailing list. The Spring 2012 issue comes out in April. In the meantime, if you want to share an interesting article with the rest of us, drop us a line. Important note: We welcome feedback. But as a courtesy to everyone else, please use “Reply”—not “Reply All.” Otherwise, our In-boxes fill up fast, which none of us want. Best wishes for a healthy and prosperous 2012. Key takeaway: As a value investor when investing in a franchise with a winner take all market-BE PATIENT. Oglala Sioux, Russell Means gives a State of the Union Address. http://www.economicpolicyjournal.com/2012/01/russell-means-endorses-ron-paul.html More informative than Obama’s recent address to the nation last week. Forget the Paul endorsement and instead ask as an investor–if change occurs at the margin, does the Patriot Act and Obama’s recent rejection of the Keystone Pipeline (http://www.washingtonpost.com/opinions/obamas-keystone-pipeline-rejection-is-hard-to-accept/2012/01/18/gIQAf9UG9P_story.html) raise the cost of capital for American companies in general (P/E multiples become compressed). Russell Charles Means (born November 10, 1939) is an Oglala Sioux activist for the rights of Native American people. He became a prominent member of the American Indian Movement (AIM) after joining the organisation in 1968, and helped organize notable events that attracted national and international media coverage. The organization split in 1993, in part over the 1975 murder of Anna Mae Aquash, the leading woman activist in AIM. From his email: This is what Greenwald will probably say, which is partly true. But you can put anything to his framework (once successful), and say that is their core competency. 1. Apple’s core expertise is in design, and they extend this design to all products. 2. They don’t manufacture the hardware. They assemble them and wrap it in a much better design. Everything that goes into the hardware, CPU, Hard disks, Memory is not made by them. 3. They do software – some of it, like the OS, etc. They don’t do everything. Even steve jobs says, Focus, Focus, get rid of the things that we don’t want. He gave the Google guys the same advice. Don’t become like Microsoft – don’t try to do a lot of things. Stick to four or five things. You can also think about Steve Jobs as someone who has come and reduced the inefficiencies. I mean when each person has three/four devices that he can access information from – it will be so much better if someone integrates the content. If you take a picture, and you can seamlessly see it on your iPad, Itouch, Mac, Apple TV (not yet released), customers would benefit. Same applies to email, contacts, etc. (rather than taking a usb stick and moving it around all the time). They are creating products where there is a need like any entrepreneur. In “Other Views on Inflation and Stocks” section from this post:http://wp.me/p1PgpH-kz, the Mises links talk about the pool of real savings. What is the author referring to? Does the real pool of savings track real changes in the exchange of goods and services? My reply: Not exactly……see below. Savings is not the transfer of REAL goods and services being exchanged back and forth, but the postponement of present consumption for the future. The nature of the market economy is such that it allows various individuals to specialize. Some individuals engage in the production of final consumer goods, while other individuals engage in the maintenance and enhancement of the production structure that permits the production of final consumer goods. We suggest that it is the producers of final consumer goods that fund — that is, sustain — the producers in the intermediary stages of production. Individuals who are employed in the intermediary stages are paid from the present output of consumer goods. The present effort of these individuals is likely to contribute to the future flow of consumer goods. Their present effort however, does not make any contribution to the present flow of the production of these goods. The amount of consumer goods that an individual earns is his income. The earned consumer goods, or income, supports the individual’s life and well-being. Observe that it is the producers of final consumer goods that pay the intermediary producers out of the existing production of final consumer goods. Hence, the income that intermediary producers receive shouldn’t be counted as part of overall national income — the only relevant income here is that which is produced by the producers of final consumer goods. For instance, John the baker has produced ten loaves of bread and consumes two loaves. The income in this case is ten loaves of bread, and his savings are eight loaves. Now, he exchanges eight loaves of bread for the products of a toolmaker. John pays with his real savings — eight loaves of bread — for the products of the toolmaker. One may be tempted to conclude that the overall income is the ten loaves that were produced by the baker, plus the eight loaves that were earned by the toolmaker. In reality, however, only ten loaves of bread were produced — and this is the total income. The eight loaves are the savings of the baker, which were transferred to the toolmaker in return for the tools. Or, we can say that the baker has invested the eight loaves of bread. The tools, in turn, will assist at some point in the future to expand the production of bread. These tools, however, have nothing to do with the current stock of bread. While the producers of final consumer goods determine the present flow of savings, other producers could have a say with respect to the use of real savings. For instance, the toolmaker can decide to consume only six loaves of bread and use the other two loaves to purchase some materials from material producers. This additional exchange, however, will not alter the fact that the total income is still ten loaves of bread and the total savings are still eight loaves. These eight loaves support the toolmaker (six loaves) and the producer of materials (two loaves). Note that the decision of the toolmaker to allocate the two loaves of bread towards the purchase of materials is likely to have a positive contribution toward the production of future consumer goods. The introduction of money will not alter what we have said. For instance, the baker exchanges his eight saved loaves of bread for eight dollars (under the assumption that the price of a loaf of bread is one dollar). Now, the baker decides to exchange eight dollars for tools. This means that the baker transfers his eight dollars to the toolmaker. Again, what we have here is an investment in tools by the baker, which at some point in the future will contribute toward the production of bread. The eight dollars that the toolmaker receives are on account of the baker’s decision to make an investment in tools. Note once more that the tools the toolmaker sold to the baker didn’t make any contribution toward the present income — that is, the production of the present ten loaves of bread. Likewise, there is no contribution to the total present income if the toolmaker exchanges two dollars for the materials of some other producer. All that we have here is another transfer of money to the producer of materials. Obviously, then, counting the amount of dollars received by intermediary producers as part of the total national income provides a misleading picture as far as total income is concerned. Yet this if precisely what the NIPA framework does. Consequently, savings data as calculated by the NIPA is highly questionable. The NIPA framework is based on the Keynesian view that spending by one individual becomes part of the earnings of another individual. Each payment transaction thus has two aspects: the spending of the purchaser is the income of the seller. From this it follows that spending equals income. So, if people maintain their spending, they keep income levels from falling. And this is why consumer spending is viewed as the motor of an economy. The total amount of money spent is driven by increases in the supply of money. The more money that is created out of thin air, the more of it will be spent — and therefore, the greater the NIPA’s national income will measure (see Figure 2). Thus, an increase in the money supply on account of central bank policies and fractional-reserve banking makes the entire calculation of the total income even more questionable. Since this money was created out of thin air, it is not backed by any real goods; income in terms of dollars cannot reflect the true income. In fact, the more a central bank pumps additional money into the economy, the more damage is inflicted on the real income. As a result, money income rises while real income shrinks. From Frank Shostak: Do People Save Money? Is it true that individuals are saving a portion of their money income? Do people save money? he can also keep some of the money (i.e., exercise a demand for money). At no stage, however, do individuals actually save money. In its capacity as the medium of exchange, money facilitates the flow of real savings. The baker can now exchange his saved bread for money and then exchange the money for final or intermediary goods and services. What is commonly called “saving” is nothing more than exercising demand for the medium of exchange (i.e., money). This means that people don’t actually save money but rather exercise demand for it. And, when an individual likewise exchanges his real savings for money, he in fact only increases demand for money. The money he receives is not income; it is a medium of exchange that enables the individual to secure goods. In the absence of final consumer goods, all of the money in the world would be of little help to anyone. My reply: The extent to which an individual will save is explained by his time preference. Savings is deferred consumption. Deferred consumption allows for resources to be used for longer stages of production which should boost productivity. Read chapter 14 in Capitalism especially pages: 622-651. For a graphical discussion of real savings read Man, Economy and State pages: 367 to 451 and 517 to 521. I will speak to a real Austrian economist this week and ask what are REAL savings and see if I can give you a more concise answer. Reserve. If money is dropped from a helicopter into a jungle and every dollar is picked up by a group of 10 individuals, then those 10 individuals would benefit from essentially receiving free money, correct? Their savings would increase and they could use their new found money to purchase capital goods. Society as a whole would lose because REAL savings and REAL capital goods and services exchange would not increase. There would be more money in circulation chasing the same amount of goods, which would cause prices to rise and/or the value of the currency to decline? Does that sound correct? My reply: Yes, they would benefit as would any counterfeiter would benefit spending the money first before prices can adjust fully. The gain of the early beneficiaries is matched by the losses in real purchasing power of the people who are the last to receive the money AFTER prices have adjusted. You are correct that real savings would NOT increase. In fact, the structure of production is thrown off which in the end hurts society (boom and bust) in addition to the unfairness of inflation. The money printing distorts production causing mal-investment which depletes REAL savings. Frank Shostak comments: Consider the so-called helicopter money case: the Fed sends every individual a check for one thousand dollars. According to the NIPA accounting, this would be classified as a tremendous increase in personal income. It is commonly held that, for a given consumption expenditure, this would also increase personal savings. However, we maintain that this has nothing to do with real income and thus with saving. The new money didn’t increase total real income. What the new money has done is set in motion the diversion of real income from wealth generators to the holders of new money. The new money that the Fed has created out of thin air prompts exchanges of nothing for something. Consequently, wealth generators have less real wealth at their disposal — which means that the process of real wealth and savings formation has weakened. In the helicopter example we have a situation in which, for a given pool of real savings, an increase in nonproductive consumption took place. (By nonproductive consumption we mean consumption that is not backed up by the production of real wealth.) This means that the real savings of wealth generators, rather than being employed in wealth generation, is now being squandered by nonproductive consumption. From this, we can also infer that the policies aimed at boosting consumer spending do not produce real economic growth, but in fact weaken the bottom line of the economy. In the NIPA framework, which is designed according to Keynesian economics, the more money people spend, all else being equal, the greater total income will be. Conversely, the less money is spent (which is labeled as savings), the lower the income is going to be. This means that savings is bad news for an economy. We have, however, seen that it is precisely real savings that pays — i.e., that which supports the production of real wealth. Hence, the greater the real savings in an economy, the more are the activities that can be supported. What keeps the real economic growth going, then, is not merely more money, but wealth generators — those who invest a part of their wealth in the expansion and the maintenance of the production structure. It is this that permits the increase in the production of consumer goods, which in turn makes it possible to increase the consumption of these goods. Only out of a greater production can more be consumed. Can the State of Savings be Quantified? What matters for economic growth is the amount of total real savings. However, it is not possible to quantify this total. The statisticians’ technique of employing total monetary expenditure adjusted for prices simply won’t do. Why not? To answer this, we must ask: what is a price? A price is the amount of money asked per unit of a given good. Suppose two transactions were conducted. In the first transaction, one TV set is exchanged for $1,000. In the second transaction, one shirt is exchanged for $40. The price, or the rate of exchange, in the first transaction is $1,000 per TV set. The price in the second transaction is $40 per shirt. In order to calculate the average price, we must add these two ratios and divide them by 2. However, it is conceptually meaningless to add $1,000 per TV set to $40 per shirt. The thought experiment fails. Rather than attempting the impossible, as far as calculating real savings is concerned, one should instead focus on the factors that undermine real savings. We suggest that the key damaging factors are central bank’s and government’s loose monetary and fiscal policies. These policies are instrumental in the weakening of the process of real savings formation through the diversion of real savings from wealth generators to non-wealth-generating activities. The US economy has been subjected to massive monetary pumping since early 1980 via the introduction of financial deregulations. The ratio of our monetary measure AMS to its trend jumped from 1.17 in January 1980 to 3.5 in July 2009. (The trend values were calculated by a regression model, which was estimated for the period 1959 to 1979, the period prior the onset of financial deregulations). Likewise, the US economy was subjected to massive government spending. For the fiscal year 2009, US federal government outlays are expected to stand at $3.5 trillion. The outlays-to-trend ratio (the trend was estimated for the period 1955 to 1979) jumped to 4.1 in 2009, up from 3.5 in 2008 and 1.45 in 1980. The ever-expanding government outlays are also depicted by the federal debt, which stands at $11.6 trillion thus far into 2009. Against the background of massive monetary pumping and ever-expanding government, we suggest that this raises the likelihood that the pool of real savings could be in serious trouble. That this could be the case is also suggested by the private sector debt-to-its-trend ratio. This ratio stood at 5.8 in first quarter, against a similar figure from the previous quarter. The ever-rising ratio raises the likelihood that the increase in the private sector debt is on account of nonproductive debt. Real savings, instead of funding wealth generating activities, have been supporting non-wealth-generating activities. This weakens the ability of wealth-generating activities to grow the economy. We can conclude that, given prolonged reckless fiscal and monetary policies, there is a growing likelihood that the pool of real savings is in trouble. If our assessment is valid, this means that US real economy is likely to struggle in the quarters ahead. In addition, if the pool of real savings is under pressure, none of the government and central-bank policies to lift the economy is going to work. Note that as long as the pool of real savings is holding its ground, such policies appear to be effective. In reality, though, it is the expanding pool of real savings that drives the economy — and not various stimulus policies. According to latest US government data, the personal saving rate jumped to 4.6% in June this year after settling at 0.4% in June last year. We suggest that on account of an erroneous methodology, the so-called “saving rate” that the government presents has nothing to do with true savings. Since early 1980s, the ever-rising money supply and government outlays have severely undermined the process of real savings formation. As a result, it will not surprise us if the US pool of real savings is in serious trouble. If what we are saying is valid then it will be very hard for the US economy to grow, for it is a growing pool of real savings that makes economic growth possible. Furthermore, the growing pool of real savings is the reason that loose monetary and fiscal policies appear to be working. In reality, however, all that these loose policies achieve is a further depletion of the pool of real savings — thus reducing prospects for a genuine economic recovery. The Value Vault is being worked on…..patience. Greenblatt Discusses the Magic Formula and the Psychology of Investing. 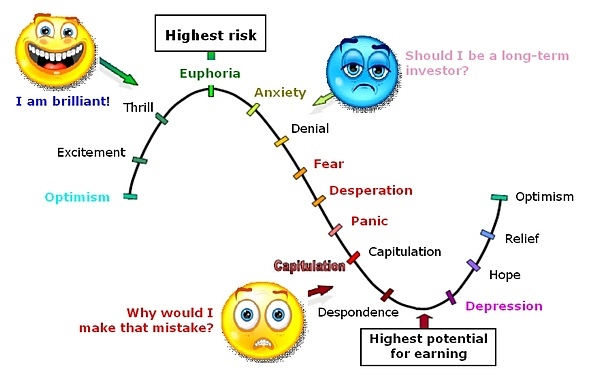 I included comments on this article because of what you can learn about investor psychology. Wow. I recently finished examining the first two years of returns for our Formula Investing U.S. separately managed accounts. The results are stunning. But probably not for the reasons you’re thinking. Let me explain. Formula Investing provides two choices for retail clients to invest in U.S. stocks, either through what we call a “self-managed” account or through a “professionally managed” account. A self-managed account allows clients to make a number of their own choices about which top ranked stocks to buy or sell and when to make these trades. Professionally managed accounts follow a systematic process that buys and sells top ranked stocks with trades scheduled at predetermined intervals. During the two-year period under study, both account types chose from the same list of top ranked stocks based on the formulas described in The Little Book that Beats the Market. But before I get to the results, let me rewind a little and review how we got here in the first place. In 2005, I finished writing the first edition of The Little Book that Beats the Market and I panicked. The book contained a simple formula to pick stocks that encapsulated the most important principles that I use when making my own stock selections. The problem was that after I finished, I realized that the individual investors I was trying to help might try to follow the book’s advice but use poor quality company information found over the internet or a miscalculation of the formula to make unsuccessful stock investments (or possibly worse, they might use the book to learn how to write run-on sentences). I quickly put together a free website called magicformulainvesting.com that used a high quality database and that performed the calculations as I had intended. Unfortunately, it still wasn’t that easy to keep track of all the stocks, trades and timing that are necessary to follow the plan outlined in the book. In fact, my kids and I ended up having a tough time keeping track, too. So after hundreds of emails from readers asking for more help in managing their portfolios, I had an idea. It was based on an idea I had long ago about creating a “benevolent” brokerage firm that sought to protect its customers from the most common investing errors. The firm would still let clients pick individual stocks, but those stocks would have to be selected from a pre-approved list based on the principles and formula outlined in the book. We would encourage clients to hold a portfolio of at least 20 stocks from this list to aid in the creation of a diversified portfolio and to send them reminders to make trades at the proper time to help maximize tax efficiency. We wouldn’t allow margin accounts so that customers could pursue this investment strategy over the long-term. At the last-minute after creating the site, Blake Darcy, the CEO of the new venture and the founder of pioneering discount broker DLJdirect (in other words, he knows a thing or two about individual investors) suggested we make one simple addition. He said, why don’t we give customers a check box which essentially says “just do it for me”? In other words, this “professionally managed” account would follow a pre-planned system to buy top ranked stocks from the list at periodic intervals. No judgment involved, just automatically follow the plan. So, what happened? Well, as it turns out, the self-managed accounts, where clients could choose their own stocks from the pre-approved list and then follow (or not) our guidelines for trading the stocks at fixed intervals didn’t do too badly. A compilation of all self-managed accounts for the two-year period showed a cumulative return of 59.4% after all expenses. Pretty darn good, right? Unfortunately, the S&P 500 during the same period was actually up 62.7%. “Hmmm….that’s interesting”, you say (or I’ll say it for you, it works either way), “so how did the ‘professionally managed’ accounts do during the same period?” Well, a compilation of all the “professionally managed” accounts earned 84.1% after all expenses over the same two years, beating the “self-managed” by almost 25% (and the S&P by well over 20%). For just a two-year period, that’s a huge difference! It’s especially huge since both “self-managed” and “professionally managed” chose investments from the same list of stocks and supposedly followed the same basic game plan. Let’s put it another way: on average the people who “self-managed” their accounts took a winning system and used their judgment to unintentionally eliminate all the outperformance and then some! 1. Self-managed investors avoided buying many of the biggest winners. How? Well, the market prices certain businesses cheaply for reasons that are usually very well-known. Whether you read the newspaper or follow the news in some other way, you’ll usually know what’s “wrong” with most stocks that appear at the top of the magic formula list. That’s part of the reason they’re available cheap in the first place! Most likely, the near future for a company might not look quite as bright as the recent past or there’s a great deal of uncertainty about the company for one reason or another. Buying stocks that appear cheap relative to trailing measures of cash flow or other measures (even if they’re still “good” businesses that earn high returns on capital), usually means you’re buying companies that are out of favor. These types of companies are systematically avoided by both individuals and institutional investors. Most people and especially professional managers want to make money now. A company that may face short-term issues isn’t where most investors look for near term profits. Many self-managed investors just eliminate companies from the list that they just know from reading the newspaper face a near term problem or some uncertainty. But many of these companies turn out to be the biggest future winners. 2. Many self-managed investors changed their game plan after the strategy underperformed for a period of time. Many self-managed investors got discouraged after the magic formula strategy underperformed the market for a period of time and simply sold stocks without replacing them, held more cash, and/or stopped updating the strategy on a periodic basis. It’s hard to stick with a strategy that’s not working for a little while. The best performing mutual fund for the decade of the 2000’s actually earned over 18% per year over a decade where the popular market averages were essentially flat. However, because of the capital movements of investors who bailed out during periods after the fund had underperformed for a while, the average investor (weighted by dollars invested) actually turned that 18% annual gain into an 11% LOSS per year during the same 10 year period. 3. Many self-managed investors changed their game plan after the market and their self-managed portfolio declined (regardless of whether the self-managed strategy was outperforming or underperforming a declining market). This is a similar story to #2 above. Investors don’t like to lose money. Beating the market by losing less than the market isn’t that comforting. Many self-managed investors sold stocks without replacing them, held more cash, and/or stopped updating the strategy on a periodic basis after the markets and their portfolio declined for a period of time. It didn’t matter whether the strategy was outperforming or underperforming over this same period. Investors in that best performing mutual fund of the decade that I mentioned above likely withdrew money after the fund declined regardless of whether it was outperforming a declining market during that same period. 4. Many self-managed investors bought more AFTER good periods of performance. You get the idea. Most investors sell right AFTER bad performance and buy right AFTER good performance. This is a great way to lower long-term investment returns. First, most clients ended up asking Formula Investing to “just do it for me” and selected “professionally managed” accounts with over 90% of clients choosing this option. Perhaps most individual investors actually know what’s best after all! Second, the best performing “self-managed” account didn’t actually do anything. What I mean is that after the initial account was opened, the client bought stocks from the list and never touched them again for the entire two-year period. That strategy of doing NOTHING outperformed all other “self-managed” accounts. I don’t know if that’s good news, but I like the message it appears to send—simply, when it comes to long-term investing, doing “less” is often “more”. Well, good work if you can get it, anyway. The study reviewed the period May 1, 2009 to April 30, 2011. Past performance is not indicative of future results. These stories happen with so many good investment processes. The investor does not have enough faith to weather the inevitable, occasional loss, and begins to ‘fine-tune’ the system into failure. One of my favorite mutual fund investments before I started picking my own stocks was (still is) Fidelity Contrafund. And it matches my personality. If the crowd is going one way, I tend to go the other. I am skeptical of the conventional wisdom since I learned most Europeans though Columbus would fall off the end of the Earth and painful lessons, like in the tech and real estate booms. When everyone’s getting into the act, it’s time to hit the exits. I brought that style into my own stock investing and tend to want to do the opposite of what most investors do. Then there’s one of the best lessons I learned from Jim Cramer. It doesn’t matter where a stock or company has been. What matters is where it is going. Period. (OK, history and a track record count. But that didn’t help investments in companies like GRMN, RIMM… AAPL or WMT at critical points of their history). Morningstar’s forward-looking, fair value, star, moat and certainty ratings give me something solid to anchor to. The bigger the discount to fair value, moat and higher certainty, the more I have invested. Then adjust my position as it changes significantly, taking profits on winners and buying more as a good company’s stock gets cheaper. A simple spreadsheet based on those principles helps keep my discipline and emotions in check. Jan 16 2012, I’m a little surprised that Morningstar would publish such a blatant sales pitch on their website. Let me see, what are we saying here? Let me manage your money for 1% and I will do better than you can. The returns posted on his website commence 2Q’09 – a convenient time to start keeping score – claim to have beaten the S&P 500 by a cumulative 10% or so to date. Not a word about risk incurred relative to the indices. The value approach he touts didn’t work so will in 2008 – witness some well-known value managers stocking up on Countrywide and other financials when they were so cheap. The true measure of good management is how well you do in downturns, not whether you get an extra 1% during an up market. I am a self-managed investor (more than two decades) and I do not see this as a sales pitch. The faults identified are real and need to be addressed if one is to become and remain a successful self-managed investor. If you are unwilling to examine your temperament and actions, then perhaps having your money professionally managed may be a better course to investing success. A key, but unstated point is one must take responsibility for their own decisions, whether it be self-managed or professionally managed. A failure to accept that responsibility will lead to misplaced criticism when things go south. As to your second point, you have to start at some point in time. Granted, starting in May 2009 does slightly tilt the results, but does not negate the message. As a long-term value investor, I am now and was fully invested during the 2008-2009 downturns. And my portfolio was down more than 50% on paper. That did not prevent me from finding the necessary funds (I did not add money to the portfolio) to take advantage of fire-sale prices on many companies. With some repositioning, my paper loss was more than recovered in less than nine months and the portfolio has grown significantly since then. While I may not have made as much on those positions sold, they were all sold for a profit even at the depths of the downturn. Although having one’s total portfolio down more than 50% can be unnerving, it is not unusual to see the share price of individual companies vary by 50% or more in a year’s time. This is really what the article is about – first, realizing when the market is miss-pricing a company and using that to your advantage to add to your position; second, to maintain positions over time, not concerning yourself with short-term losses or gains. That is what enabled me to sell positions at the depths of 2008-2009 while still enjoying double-digit Compound Annual Growth Rates (CAGR) on those positions. The importance is having a well-defined plan which accounts for multiple scenarios, providing the flexibility to respond appropriately with a goal of enhancing one’s overall long-term returns. Without an appropriate plan, the investor, self-managed or professional, is subject to the whims of the market and will inevitably suffer lower returns than otherwise possible. I’m a self-managed investor too and have been for quite a while. My five-year return as of 12/11 was 82% cumulative (Fidelity’s calculation) – that includes 2008. I would certainly agree with the comments above on having a plan and following it. Granted, the article does speak to that. Indeed, it is probably the main point. Having said that, returns in up and down markets do depend on what the plan is. Even more importantly when you are retired – as I am – and living on your portfolio. A 50% decline in portfolio value would be a disaster for most retirees, particularly if they are relying on capital gains for income. Withdrawals from a depressed portfolio for more than a year or so can put you in a situation from which you might never fully recover. That’s why there’s been so much in the literature about carrying very large cash cushions recently (which I don’t agree with either, incidentally). I live on a portion of our portfolio’s income, so moderate swings in total value don’t affect us much. But I do favor equity investing with capital (or more importantly – income) preservation in mind. Most money managers do not. They are competing against an index and big decline is still success, if they’re up over the index. If you’re on a twenty year horizon, this will probably work for you. But if not, a black swan event like 2008 is not good and should be recognized as a probability. Value does not always work. Wally Weitz presumably knows what he’s doing and his 5 year return is ca. -3% (Morningstar’s number) versus the S&P 500. In large part because of the bets he made that in the 2008 time frame that turned out to be value traps. I have two “professionally managed” accounts with formula investing. I believe in the strategy. My results are varying significantly in the small amount of time I’ve been invested. An account opened in April 2010 is losing to the S&P 500 index by 7.17%. Another account opened May 2010 is beating the S&P by 6% (both account results before the 1% annual fee). My Question for Joel, is “what is the average return for all investors at Formula Investing?”, not just the accounts that started in May 2009. How much does timing changes the results? My personal experience (limited to two accounts, a terrifically small sample size) is over a 13% difference in almost two years. And, perhaps more significantly, average out to ~0% improvement on the S&P 500 index. I also have a formula investing account, where I first opened it and funded it about 25 months ago. So far, it has tracked the S&P 500 fairly closely. Magic Formula investing did much better than the S&P 500 from when it first started in about April 2009 thru about December 2009. Since then, it has done about the same (from about December 2009 thru December 2011) as the S&P 500. Joel gives the monthly performance versus the S&P 500 on the website. I’m thinking that there is a good chance that it has done well in January 2012 given that some of the beaten down bargain stocks have done very well within the last few weeks. I have a couple of beefs with Formula Investing. First, I hate to pay the 1% fee for what I could really do for myself for a lesser total cost (assuming that you have > $100,000 invested there, which I think now is the minimum allowed to start an account.) All you really need to pay is about 40 trades per year (buys plus sells combined on a running count of 20 stocks) at a discount broker, which would be about $240 per year, much less than > $1,000 per year paid to Joel and company. My second beef is that Formula Investing sets a fairly high floor to the market cap of the companies that it buys shares for clients. I’d like it to offer the option of bringing down the market cap to, say, around $1.5 billion. Then, I think the formula would return slightly higher results over the long run, compared with big-cap only firms. You can see that Formula Investing beat the S&P 500 by about 16% from its inception in May 2009 thru the end of September 2009. Then, over the next eight quarters (24 months) it ended up essentially equaling the S&P 500’s performance. My point/question is how much do the results vary based on starting date? The “formula” selects a different set of stocks on any given day based on Joel’s criteria. My results vary considerably. The results Joel post are, I believe, from one discreet starting date. The results from my “April 2010 to now” account do not equal the S&P (under-perform by ~7%) at the end of the 22 month period. Is variation expected? Absolutely. But what is the average return of all accounts/starting dates? Education is one of the few things a person is willing to pay for and not get.William Lowe Bryan (1860–1955) 10th president of Indiana University (1902 to 1937). I am not a great fan of the university business model as a delivery mechanism for learning. The model can be traced back to the middle ages and is built around physical location and arbitrary requirements for graduation (that have less to do with learning and more to do with maximizing university revenues and faculty comfort). I know! I know! I am a beneficiary of the system and I gain from the low teaching loads and a tenure system that is indefensible. With four children, I am also a consumer of the same system and I am flabbergasted at how little accountability is built into it. How many classes have you taken (or your children taken) where you should have received your money back because of the quality of the learning experience? How often have you been able to get your money back? For hundreds of years we (as consumers) have had no choice. Universities have operated with little competition and substantial collusion. There is no other way that you can explain how little variation there is in tuition fees across US universities and the rise in these fees over time. Outside the US, the fees may be subsidized by governments, but the quality of the learning experience is often worse, with the rationale being that if you paid little or nothing for your education, you should eat whatever crumbs fall of the table in you direction. But I think that the game is changing, as technology increasingly undercuts the barriers to entry to this business. I am not just talking about online universities (which, for the most part, have gone for the low hanging fruit) or the experiments in online learning from MIT, Stanford and other universities. These are evolutionary changes that build on the university system and don’t challenge it. I am talking about a whole group of young companies that have made their presence felt by offering new tools for delivering class content and learning. I am convinced that the education market is going to be upended in the next decade and that the new model is going to do to universities what Amazon has done to brick and mortar retailers. To back up my point, I am running an experiment this semester with the classes that I am teaching at the Stern School of Business: Corporate Finance, a first-year MBA class, and Valuation, an elective. I have taught these classes for more than 25 years now and have tried to make the material and the lectures available to the rest of the world, but I have never formally tracked those taking these classes online. In fact, if you were not an MBA student in the class, taking the class online would have required you to forage through my website for materials and keep track of what’s going on. And I would have no idea that you even were taking the class… So, I want to change that..
Last semester, I used a company called Coursekit to package and organize my class and was impressed with their clean look and responsiveness to my requests. This semester, which starts in a few days, I have created a coursekit page for each class that is focused on just online students. I will use this page to deliver content (lecture notes, handouts and assignments that those who are in my physical class get), webcasts of lectures (though not in real-time, but the links should show up about an hour after the actual class ends ) and even the exams (you can take them and grade them yourself). The site also has a social media component, where you can start or join discussion topics, which I hope will provide the element of interaction that is missing when you do an online course. When you do get to the home page for Coursekit, you will notice my mugshot in the entry way. I promise you that I have zero financial interest in the company but I really want to see it succeed, because I think the education business needs to be shaken up. b. What is it? This is my “big picture” class about how financial principles govern how a business should be run. It looks at everything that a business does, through the lens of finance, and classifies them into investment, financing and dividend decisions. Who can use it? I am biased but I think that everyone can use a corporate finance class: entrepreneurs starting new businesses, managers at established businesses and investors valuing these businesses. How do you join? Go to the site (http://coursekit.com/finance). Enter RWHZYG as your code and you can then register for the class. Once you are registered, you will automatically be put into this page, every time you enter the site. What is it? This is a valuation class and it is about valuing any type of business: private or public, large or small and across markets. My focus is on providing the tools that will allow you to create your solution to valuation challenges, since new ones keep popping up. Who can use it? While investors interested in valuing companies may be the obvious target, I teach the class more generally to be useful (I hope) to managers running the businesses and those who are just curious about value. How do you join? Go to the site (http://coursekit.com/app#course/b40.3331.damodaran). Enter EH7WZN as your code and you can then register for the class. Once you are registered, you will automatically be put into this page, every time you enter the site. Just to be clear, my first obligation is to the students in my MBA classes and I will not stint or compromise on that obligation, but I view delivering a great learning experience to those taking the class online as a close second. Note also that you will not get any credit from NYU for taking this class. While I will give you the grading templates to grade your own exams and evaluate your own assignments, I will not be able to give you direct feedback on your work. But then again, the price (at zero) is set right. So, these classes definitely come with a money back guarantee. In fact, the more the merrier… So, pass the message in this post on to any friends who may be interested. See you in cyber space on Monday. Though I am not a fan of traditional finance courses, because of the heavy emphasis on math and models instead of deep thinking about businesses, you be the judge. Perhaps you might enjoy being part of the experiment. with a brand that demands a premium in the market. to be incentivized to enter and compete. My Reply: Good question. In the example you mentioned, the same logic would apply to Sees Candy. I have extensive notes on Sees but trapped on a dead laptop. The notes below have an analysis on Sees pricing. Read the PDF on Sees, and we can discuss further. I rarely suggest investment books, but here is a thoroughly revised edition of a book that Joel Greenblatt recommends in his MBA classes: Contrarian Investment Strategies: The Psychological Edge by David Dreman. Even a cynical observer of Wall Street like me can’t believe my eyes. How can analysts estimate on average 21% earnings growth? The odds of any company growing in excess of 15% per year for 10 years is almost infinitesimal. Take common sense so we add an optimistic GDP growth rate of 4 percent a year plus nominal inflation rate of 6% and we have 10% earnings growth, How can analysts even think of 20% EPS growth? My Greenwald notes on Wal-Mart should help you understand how regional economies of scale work. You see returns on capital decline as Wal-Mart grows larger in assets and sales but into areas with less regional economies of scale and more competition. How does Kyocera (KYO) http://americas.kyocera.com/ir/index.html earn high operating profits on its core business of ceramics? You will have to separate out non-operating assets like cash and investment in other companies to peel away the onion. Are there economies of scale in R&D here? Not a recommendation but some of you may want to have a current example to work on. and the gain she bring is better than gold. and all your jewels are no match for her. Long life is in her right hand, in her left hand are riches and honour. Her ways are pleasant ways and all her paths lead to prosperity. and those who hold her fast are safe. Video of Scoggin Capital: http://www.bloomberg.com/video/84562522/ Beware underfunded pensions. Let’s take a study break and return to the Coors case study this weekend. You have a strong foundation of strategic logic to study the case. You learned from Wal-Mart that management did not expand from Arkansas into California or the Northeast back in 1985, but expanded at its periphery (like an amoeba), where it could readily establish the customer captivity and economies of scale that made it dominant. And it defended its base. What did Coors do? Let’s be frank. Mises’s writing at times can be difficult, especially his earlier work when he was writing for other economists, rather than the lay public. The amateur fan of Austrian economics who flips through The Theory of Money & Credit might recoil, thinking it is too hard and that anything important from the book would have been distilled by Rothbard in Man, Economy, and State. If I’ve just described your view, I suggest doing the first week’s reading (the first two chapters from Mises) with my study guide as a companion. You might be pleasantly surprised to discover that Mises’s prose, though a bit formal, is still accessible to the layperson. If — using my study guide for help — you can get through the first week’s readings, then I believe you have what it takes to get through the whole class. It’s true, we will get into material that is more complicated than what Mises lays out in the opening chapters, but then again that’s what you have me for, to explain it for you. Now if you determine that you are capable of digesting the material, I would urge you to take the plunge and sign up for the course. Yes, Rothbard and others have explained the Austrian theory of the business cycle in other venues. However, by exploring the Misesian framework of money and banking, you will walk away with a much deeper understanding of his theory of economic fluctuations. For example, the typical objection that “we had business cycles before the Fed, so the Austrians are obviously wrong” will seem quite ludicrous after studying Mises’s classic work.